Benjamin Franklin once said: “An ounce of prevention is worth a pound of cure.” This is certainly true even today when it comes to taking care of our pets. Regular check-ups, parasite screenings and vaccinations are just the start. Thorough physical exams and screening blood work will help establish what is normal for your pet. Regular visits to your veterinarian, when your pet is not ill, will give you the time to ask questions, discuss behavior and other concerns. Being proactive in your beloved pet’s health care will give you peace of mind that you know what to expect as he/she matures. Keeping this in mind we created the 1st Pet Wellness Plans. Does my puppy need vaccinations? What should I feed my kitten? How do I housebreak my puppy? Is it normal when my kitten…? Being a new pet parent can be overwhelming. There is a lot to learn and many questions that need answers. We know you want to take the best possible care of your new family member. However, the cost of veterinary care can be expensive, and it can be difficult to decide what it is that MY pet needs. We want to make taking care of your new pet easy and affordable. That is why we created the 1st Pet Wellness Plans. By enrolling your new pet in one of our puppy or kittens plans you make a low monthly payment and we take care of the rest. You bring your pet in and our doctors decide which vaccinations, and other preventative care, your puppy or kitten needs and when. In other words, we will take care of his/her medical needs thus letting you worry less and leave you time to enjoy watching them grow healthy and happy. These days there is a lot of information available on the internet. Some of it is good, but some can even be detrimental to your pet’s health. As your veterinarians we will answer your questions and give you advice and resources to get your pet started on his/her journey through life. 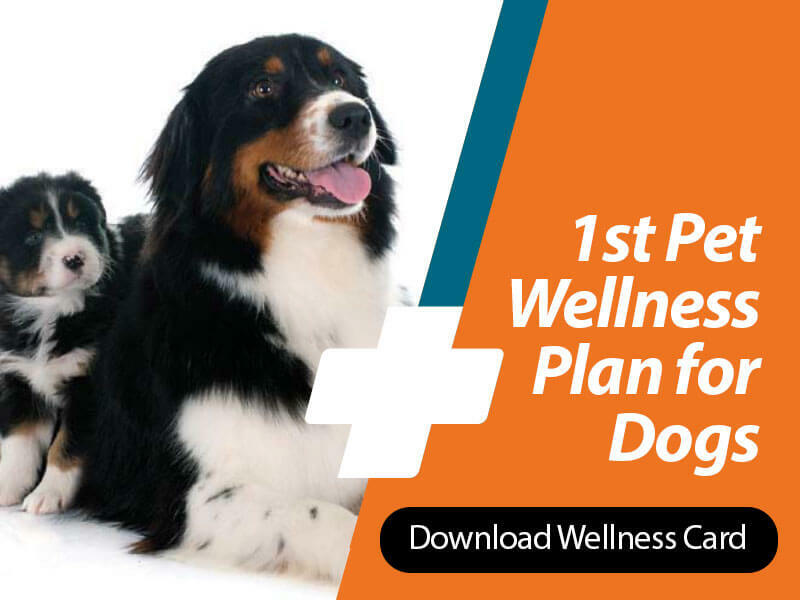 1st Pet Wellness Plans will not only make the decision making easy, but they will also save you money. By bundling all the first year preventative care together, and spreading the cost over 12 months, you will also save 20-30% over the regular retail price. Regular veterinary visits should not be limited to the first few months of a pet’s life. On an average pets age five to seven years to a human year, and the larger the breed the bigger the difference. For example, most ten-year-old Labs are more like humans in their 70’s or 80’s. This is why we also created 1st Pet Wellness Plans that go beyond the first year of your pet’s life. 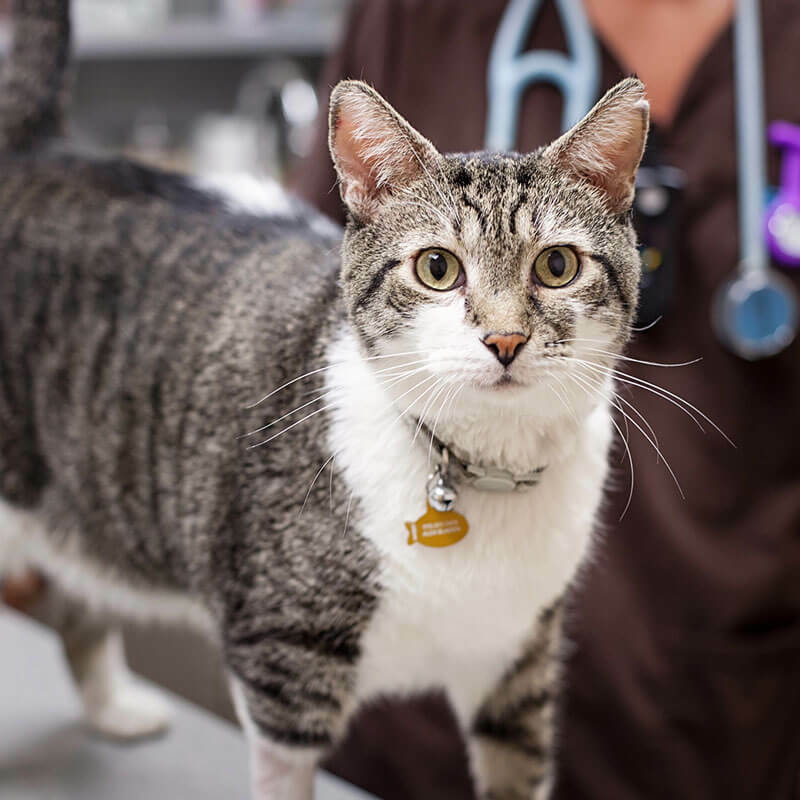 Our bi-annual Comprehensive Wellness Exams allow you to bring your pet in for a regular check up every six months even if you have not noticed anything wrong. Our doctors will examine your pet from head to tail and address any concerns. And while your pet is in for their check-up we will also administer any necessary vaccinations and other core preventative care. As your pet matures his/her nutritional needs and behavior will change. We will help you to understand what is normal and what might be a sign of concern. During your bi-annual visits you will be able to ask questions, and learn what to expect as your pet ages. We also included regular annual blood work to establish what is normal for your pet and to detect any developing problems early on. Early detection is often a key to a successful outcome. 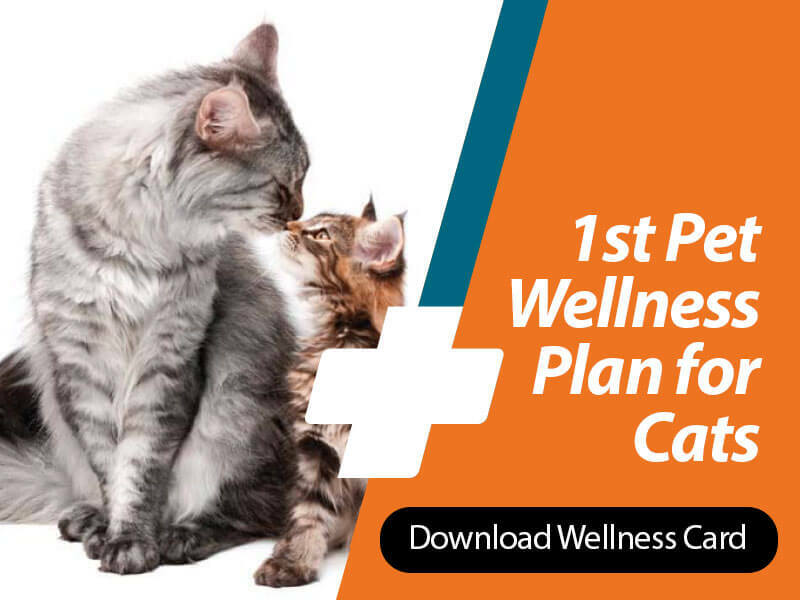 1st Pet Adult Wellness Plans, with affordable monthly payments, make this easy and convenient. Growing bones, undeveloped immune system, and natural curiosity about an unexplored world all create health hazards during your pet’s first year of life. Even pets that are all ‘grown up’ tend to get into trouble and need unexpected veterinary care. This is why we added a 10% discount on non-preventative care to our 1st Pet Wellness Plans. If your pet gets sick, needs stitches or you just want to bring him in to make sure everything is ok, as long as your pet is enrolled on one of the 1st Pet Wellness Plans we will discount his or her other care 10%.